On May 15th, President QIAO met with the Delegation of Pennsylvania State University in BUPT stadium. REN Chunxia, Director of International Office; HU Qibin, Chairman of School Board of School of Humanities; GAO Feng, Director of P.E. 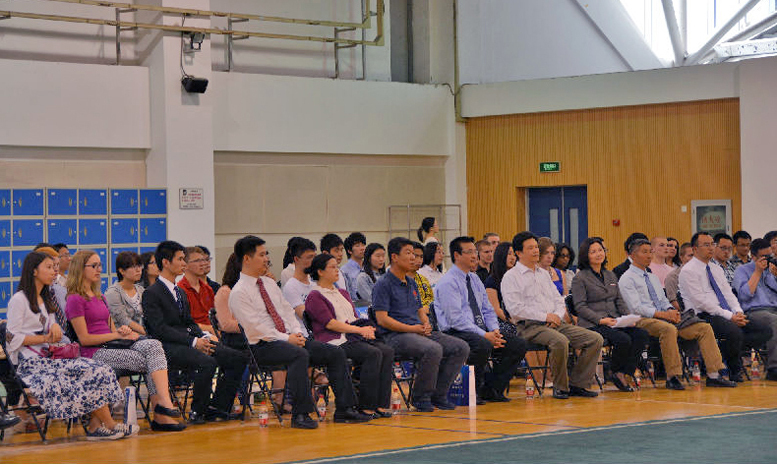 Department; GUO Li, Director of the Students Innovation Base; REN Xiongfei, Director of Youth League Committee and the students from both universities joined the welcome ceremony. With the thoughtful arrangements of International Office and the Youth League Committee, students from both universities enjoyed marvelous performances. 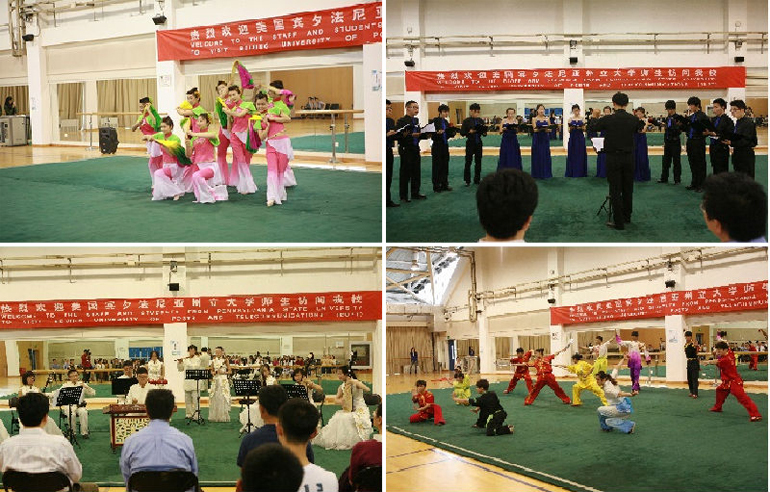 The dancing, chorus and martial arts left great impressions to the students. 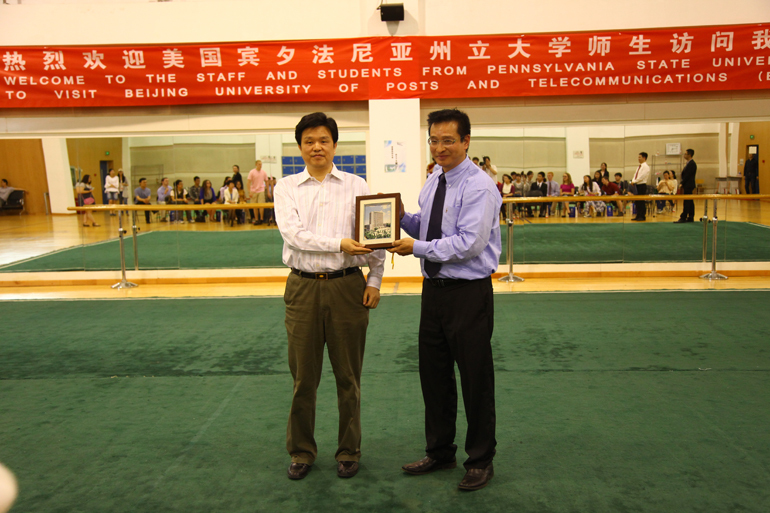 After the performance, President QIAO exchanged presents with Professor WU. Professor WU expressed his appreciation for BUPT’s thoughtful arrangements and hospitality hoping there will be more exchange opportunities in the future. 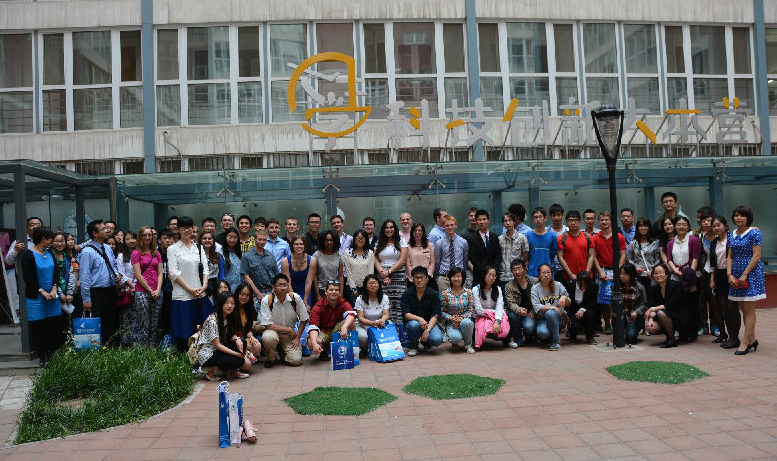 After the welcome ceremony, students had a campus tour in BUPT and visited Students Innovation Base and International Chinese Training Center. Teachers and Students in the Innovation Base have prepared many activities for our guests. 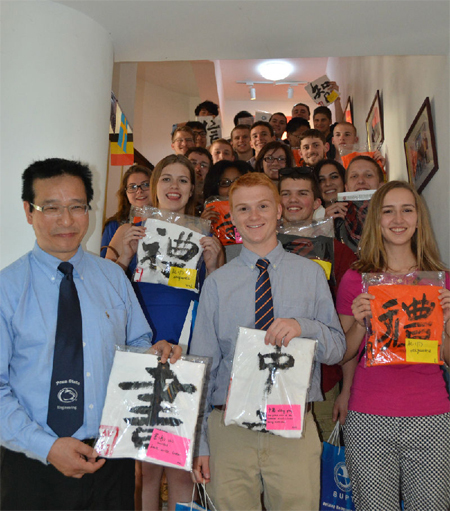 In the International Chinese Training Center, students learnt some basic Chinese words and the traditional Chinese culture, such as calligraphy and Tea Art, also in the center all the students made dumplings together. The visit of Pennsylvania State University to BUPT is bound to open new opportunities for the cooperation and there will be more platforms for the students exchange activities in the future. Pennsylvania State University, as the public research university, excels in the areas of engineering, meteorology, earth science, geography, mass media and management, and it is also the birthplace for America's Industrial Engineering and British Literature.